What Does it Take to Hire the Perfect Executive? Your company is flourishing faster than you ever thought it would. The pace is steady, and you’ve noticed that things could be running smoother if you hired an executive. You want someone who is experienced, smart, quick to learn, and ultimately someone who will assist in helping your company continue to grow. But where do you find the perfect executive and what does it take to hire them? The main issue that presents itself when hiring an executive is the time and money that it takes. This is because there any many different steps required to hire the perfect executive. If you do decide to go through with hiring an executive without any assistance from an executive recruitment firm, then there are many steps that you must complete in order to find that perfect executive candidate. We took the time to briefly outline all of those steps below. The first step in finding the perfect executive is crafting the perfect job description. This is an often overlooked aspect, but if you aren’t specific about the exact candidate that you’re looking for, then they may not apply for the position. Take your time to browse through other job postings and pay attention to the wording that they are using, as well as the qualifications they are seeking. Once you have created the perfect job description, the search begins. You can begin reaching out to the different connections that you have, and sharing your job posting on different websites and groups. This way you will be able to get your job posting in the hands of the people that would be the perfect executive or know someone who would be. You will also have to post your job opening on different job websites and groups to ensure that people apply for the position. This part can get costly, thus it is important that you research the best websites to use for your industry. Although this task may seem simple, it is extremely tedious and time consuming. Many people will apply for your job posting, especially when your industry is as in demand as the hospitality industry. Having several applicants to choose from is always a good thing, but just because thousands of people apply, does not mean that they will all be the perfect candidate or even qualified. It is important to read through all the applications and resumes and then make piles for the ones you are interested in, ones you would like to learn more about, and the ones that unfortunately didn’t make the cut. This will make the process as quick and painless as possible. Interviews are a very important part of the hiring process. This is where you will learn more about the candidate and also be able to meet them and see who they are as a person. This is a great time to gauge how they will fit with the corporate culture at your corporation. Interviews for executives are lengthy and often times involve more than one interview. 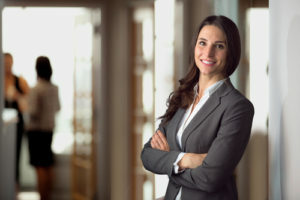 For some positions, companies sometimes hold 3 interviews before even contacting references to be sure that they are making the right decision in selecting this candidate. Depending on the position, a background check may be necessary in order to hire a candidate. This process is not only lengthy; it is also expensive. This means that you must be very sure of a candidate prior to sending out their information for a background check. Checking references is a great way to learn more about the potential hire and to see how they fit in at previous organizations. We recommend calling at least 2 individuals on their reference list and asking them what it was like to work with the candidate and would they want to work with them again. All of these steps can take up a lot of time and resources. There has to be a better way to save time, money, and headaches… but what is the solution? Hiring an executive search firm is a great way to save time, money, and find the perfect executive of your dreams. HRWorldnet is a premier executive search firm with a wide range of clients, connections, and years of experience that show our dedication. Plus, when you work with HRWorldnet, you also gain access to our exclusive Hotel Recruitment System. Our Hotel Recruitment System (HRS) is an exclusive program that save our clients both time and money. How does it do this? This system uses cloud technology, years of extensive experience, as well as a vast network of experts to assist in finding you the perfect candidate. We also have a large network of recruiter partnerships/ambassadors, print and digital advertisements, as well as a reputation that speaks for itself. A combination of the above allows us to bring your company high-volume traffic to the Executive Listings we produce. All while keeping your information confidential. We also have a global database of over 25,000 candidates and partners who are dedicated to the hospitality industry. This means that you can worry about running your business while we worry about finding you the perfect executive. If you’re looking to hire an executive to join your team, the first place that you should start is with HRWorldnet. Our team of experts know the ins and outs of the executive recruitment process and can help you hire the perfect executive to join your team and help your company flourish. Call us or visit us online today to learn more about our services and what we can do for your company! As a global executive recruitment firm, HRWorldnet partners with hotels, restaurants, and airline catering companies to maximize their employment return on investment as well as providing hospitality industry professionals seeking new opportunities a portfolio of career development services. Comprised of highly-experienced hospitality professionals, we give our partners the competitive edge by using the latest online technological advancements necessary to develop world-class leadership teams. We identify our candidates’ unique strengths and abilities and match them with the right organization and the right position.